Having yearly, monthly, and weekly marketing goals are crucial to achieving success. With goals, you know where you’re heading and can work toward that end. Marketing goals can be considered a marketing plan and it will have a number of steps or objectives that must be set in motion and accomplished. Creating an online presence and platform is initiated by creating a website or blog. First though, you’ll need to be sure of your niche because the site name and content should reflect your area of expertise is. Remember, plan first. Choose a site name that will grow with you. Using an author as an example, if you choose a site name, Picture Books with [Your Name], you’ve limited yourself. What if your next book is for young adults? As part of your book marketing strategy, you need to create a ‘hub’ site that will act as the center to your offshoot sites, such as the individual sites for each of your books. Leave room to grow; it’s always advisable to use your name as the site’s name or part of it. In addition, with today’s gone-in-a-second attention span, it’s a good idea to keep your site simple. Marketing expert Mike Volpe of Hubspot.com points out that it’s more important to spend time, and money if necessary, on content rather than a flashy website design; simple works. Google verifies this ‘simple is better’ strategy and notes that milliseconds count in regard to your page load time. In fact, Google gives a ‘poorer’ score to pages that are slow to load. Sites that take a few seconds or more to load may also cause you to lose potential subscribers and buyers. Writing content for your readers/visitors is the way to increase visibility – content is definitely still King. Provide interesting, informative, and/or entertaining content that will prompt the reader to come back and, just as important, to share your post or article. Also, be sure your content is pertinent to your site, and keep your site and content focused on your platform. To draw traffic to your site, promote your posts by using social media. You should also do article marketing which will increase your visibility reach. Another strategy is to offer your readers free gifts, such as an ebook relevant to your niche. This will help to increase your usefulness to the reader and help establish your authority. This is considered organic marketing; it funnels traffic back to your site with valuable content and free offers. You get the idea, motivate the reader to want what you’re offering and give him/her a CLEAR and VISIBLE call-to-action. Make it as simple as possible for the visitor to buy what you’re offering. It’s been noted that only 1% of first time visitors will buy a product. Usually, only after developing a relationship through your newsletter, information, and offers will your potential customer or client click on the BUY NOW button or other call-to-action you have in place. While it will take some time and effort to implement and maintain these strategies, it will be worth it in the long run. Think of it as a long-term investment. This is an effective marketing tool and ebooks can be offered for sale or given away as a gift or 'ethical bribe.' Whichever you will need it for, it's important to get on board the ebook band-wagon. 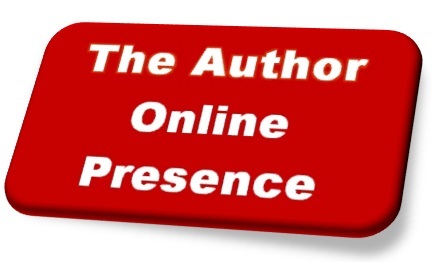 How Do You Create an Author Online Platform? Good tips, Karen. It's all a lot of work, but worth it! Heidi, glad you found the post helpful. And, yep, it sure is a lot of work, but without it . . . I especially like that "develop a relationship with your reader!" I can't tell you how many of my clients and readers express a reluctance to have a contact button on their Web sites! Carolyn, the relationship is probably the single most important online marketing factor, after the 'list.' Having a means for potential customers/clients to get in touch with you is essential - it's part of the relationship you're trying to develop. And, the contact information should be easy to find. Simple, easy to follow no-fail tips for every author. Thanks Karen. Maggie, thanks Maggie. I try to go for simplicity. 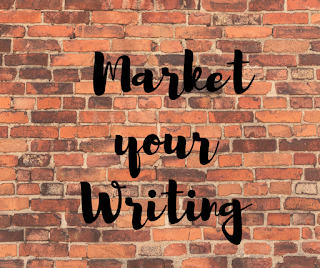 It's all about building your author platform and that entails a number of sound marketing strategies. Great tips Karen. I have to work on the call to action. Mary Jo, glad they are helpful!